Microcrystalline Wax ... what is it, and why should I want to know? For those with an enthusiasm for bikes of character, it is likely that from time to time you will be faced with a decision to restore or conserve that recent acquisition. Not a decision that should be made lightly as authenticity is often directly proportional to the ultimate value of the bike. While restoration can bring an old relic of back to life, this should be a last resort for something of true historic value. In such a case the better option is to conserve rather than restore. Conservation principles require the preservation of the original condition - paint finishes, decals, leather, rubber, chrome etc. The challenge of course is to find the right balance between aesthetic appearance and authentic value. Possibly the greatest challenge to preserving an old bike is winning the battle against corrosion. Similar problems are encountered in museums around the world. In the 1950s the British Museum, through their research department developed a product known throughout the industry as microcrystalline wax. It is a petroleum derivative that is different to paraffin wax by having very much smaller crystal structure, higher melting point and is pH neutral. Before this invention natural waxes like bees wax or carnauba wax were used, sometimes blended with paraffin, until it was discovered that these were mildly acidic - enough to cause problems over time. Microcrystalline wax when applied to a metal will harden with a light sheen and protect the surface from moisture and thus corrosion. 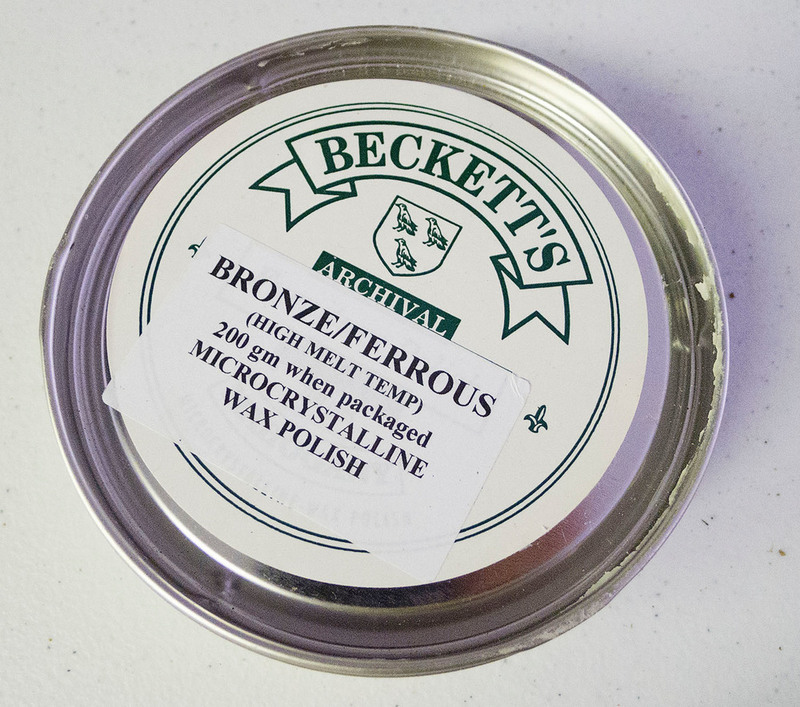 It can also be used on leather and timber being equally useful in preventing drying out.